An excelennt competition mare, in T2, T1 and V1. Daughter of Grettir frá Grafarkoti (8.23) and Surtsey frá Gröf Vatnsnesi. 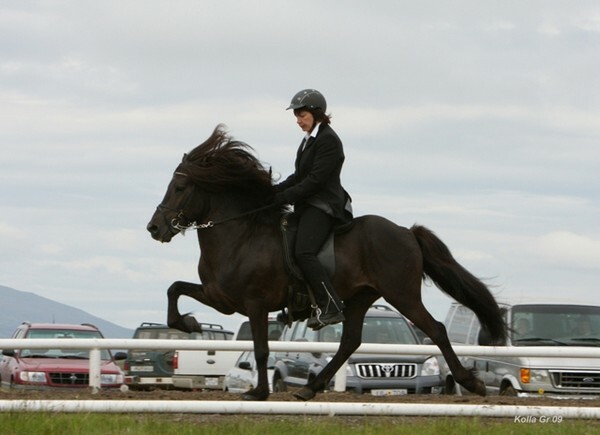 Brúney frá Grafarkoti is a black beauty and an excellent competition horse both in loose rein tölt T2, tölt T1 and four gait V1. 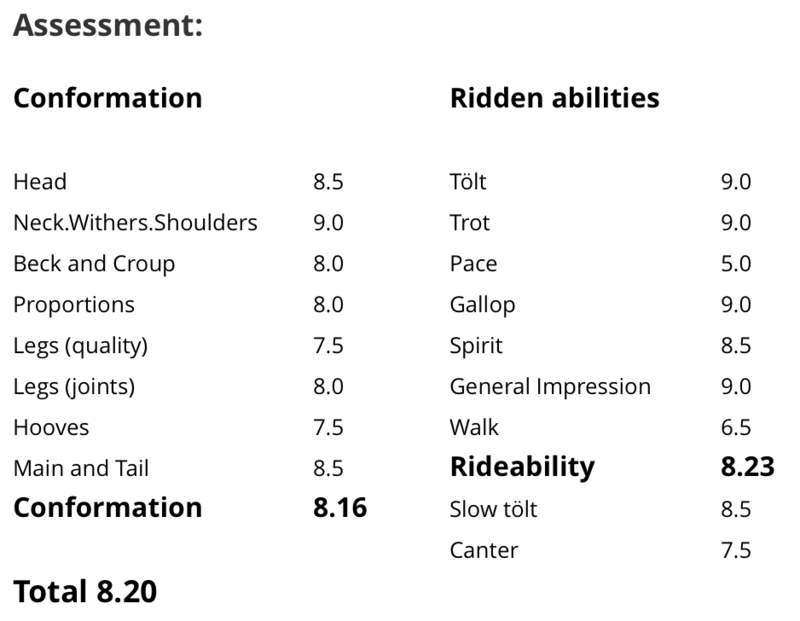 Her highest score in loose rein tölt T1 is 7.88, highest score in tölt T1 is 7.22 and highest score in Four Gait is 7.07. 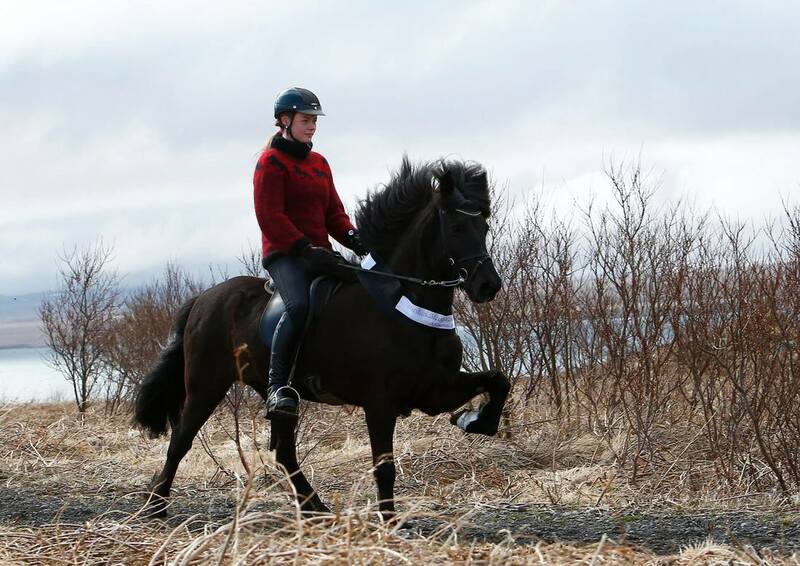 Brúney has a great temperament, she is daughter of Grettir frá Grafarkoti (8.23) and Surtsey frá Gröf Vatnsnesi. 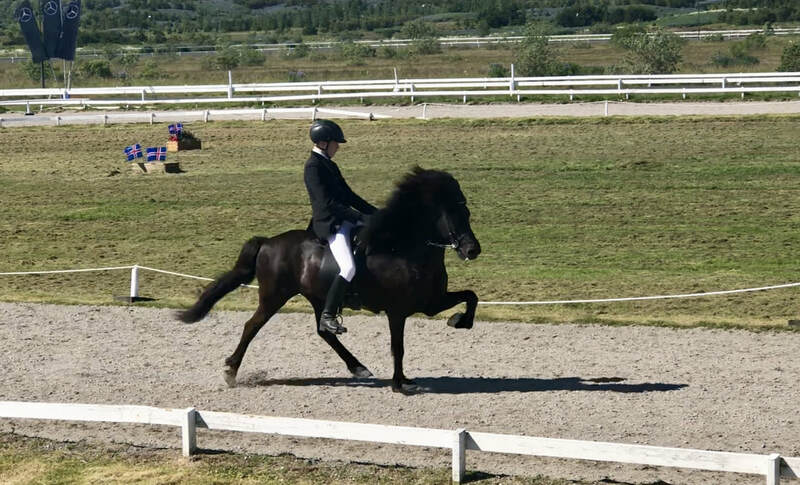 Grettir frá Grafarkoti (8.23) is a four gaited, black stallion that has 8.18 for Conformation and 8.26 for Rideability; 9 for tölt, 9 for spirit, 9 for general impression, 9 for slow tölt, 8.5 for for trot and 8.5 for gallop. 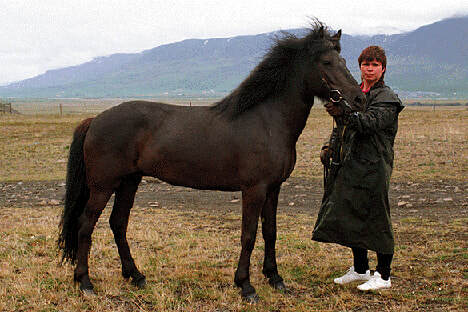 F: Dynur frá Hvammi (8.47) Snorri is black stallion, he has 8.23 for Conformation and 8.41 for Rideability; 9.5 for tölt, 8 for trot, 6.5 for pace, 8 for gallop, 8.5 for temperament, 8 for character and 9 for general impression. M: Ótta frá Grafarkoti. 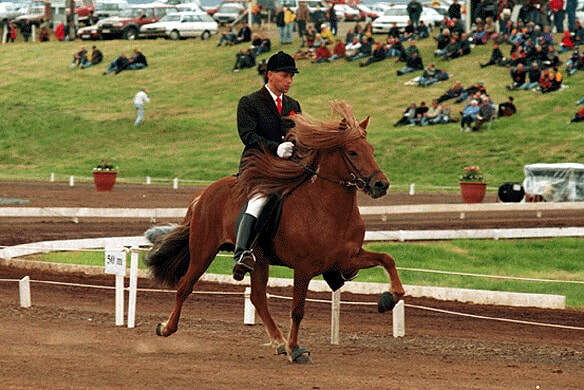 Hlökk was a four gaited mare with 7.97 for Rideability; 8.5 for tölt, 9 for trot, 8 for gallop, 8.5 for temperament, 8 for character and 8.5 for general impression. Hlökk was grey, born black.